In every generation there are a few authors who both make you feel they're speaking to you personally, and avoid the impositions common in that. They can even be curmudgeonly, or esoteric, or too broad in their choices of topics, without being tiresome. Like most arts, it's harder than it looks. In the modern Western world, with its deference to spontaneous self-expression and individual opinion per se, a long experience in journalism, especially on some technical side, can take the place of traditional rhetorical training in getting an author used to the work and restraint behind literary charm. Mark Twain, Graham Greene, and Bill Bryson all worked in production departments of newspapers (that is, at the level of spelling, spacing, and the avoidance of howlers in headlines). In response to drives more powerful than the drive to write tends to be in itself—all three, as young men, found themselves in quite insecure circumstances, yet made love matches and became the sole support of families—they were compelled to become reliable craftsmen, toiling against the hazards of publishing, ratcheting in the links between themselves and readers. 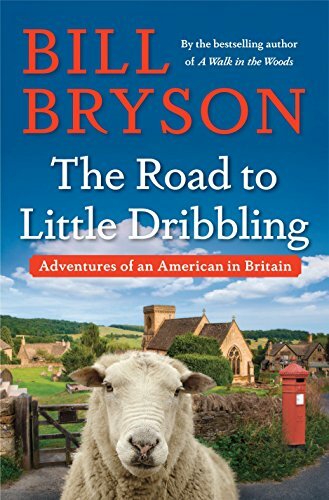 In reviewing Bill Bryson's latest travel book, The Road to Little Dribbling, an obvious recourse is to discuss his view of Britain, where he's repeatedly expatriated himself. Since the book's publication, Brexit-related controversies have even sharpened interest in his judgments. What is the British character anyway? Is Britain now decadent? Bigoted? Well-governed? More dynamic than Europe? More humane and stable and realistic than the US? What kind of a future does it have?